Contact us for full piano services, including tuning, repair, sales and moving. One of the best things to experience in life is music. Why not take it one step further by making music? Whether you’re a beginner or an expert, there’s always a good reason to purchase a new piano that, with proper care and maintenance, can last a lifetime. 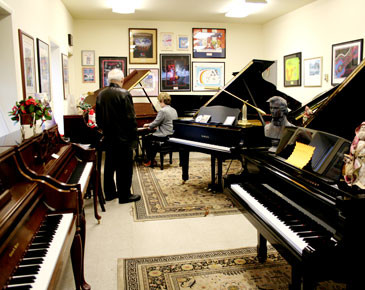 We have the finest selection of new pianos for sale at our showroom. Our team is here to help you find the perfect fit for your play style, as well as the space in your home. 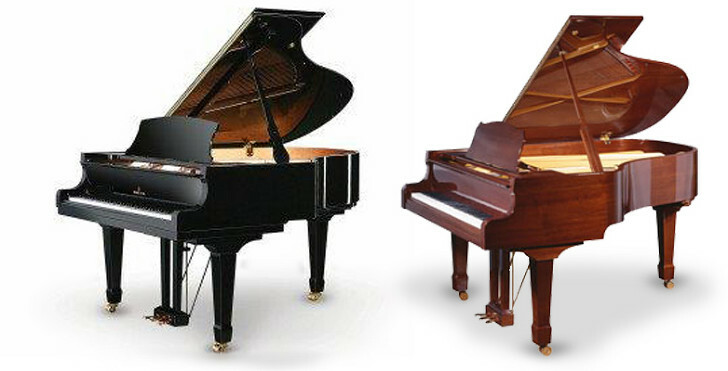 Below are the brands of pianos we have in stock, and stop on by to see them in person. Our remanufacturing of quality pianos from the golden era of piano making is our greatest pride. With over 100 years of experience since our founding, and each generation building on the expertise of the last, we have gained a reputation for professionalism, reliability, and quality craftsmanship throughout the Lehigh Valley. Renowned for our professional grade remanufacturing services, we offer the very best pianos that look and work like new. If you’re looking for a like-new piano at a great value, then a remanufactured one might be the perfect fit for you. All of our pre-owned pianos are thoroughly evaluated, repaired and reconditioned as necessary, tuned to A-440, and guaranteed. As technicians first, we only present instruments we find to be worthy of your investment. We want you to leave here with a great piano that will meet your standards of quality, while giving you the value of a pre-owned piano. If it’s not something we would have and use in our own home, we won’t present it to you. That’s why, if you see a used piano on our showroom floor, you can count on the quality that we see in it with our many decades of knowledge and experience. We are certified installers and technicians for the exciting PianoDisc Player Piano System. These modern wonders let you enjoy live piano music as you relax in your home or entertain your guests. You can also record your own performances.